Hi! 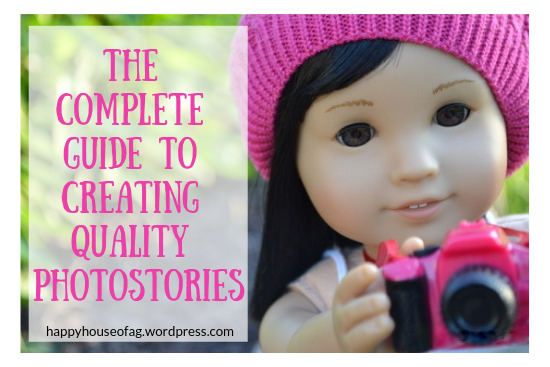 Today I’ve put together a post on how to keep your dolls looking their best, outfit ideas, photography tips, and more. Here, you do the math. 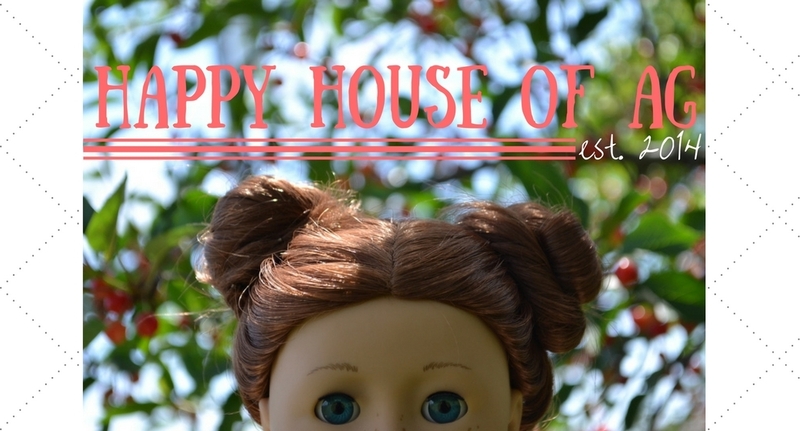 Good outfit+awesome hairstyle+’healthy’ doll= great photoshoot= amazing blog! MIX AND MATCH. Guys, you can make so many outfits with different pieces. I try to make my dolls look trendy and cute. Here are 3 outfits- all with the same shorts. First, make sure your parents are OK with you starting your own blog! Talk to them about what you can and cannot say online. Some things you can’t say might be your full name, birthday, location, etc. 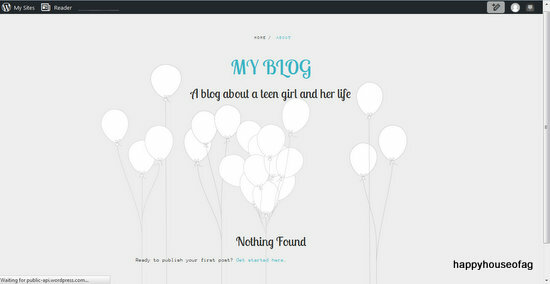 As soon as you get the go ahead from your parents, you can create your own blog! 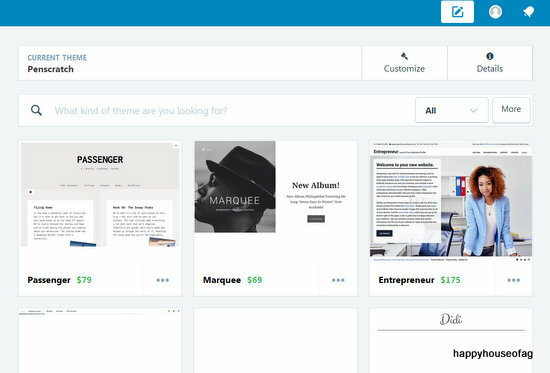 WordPress will then take you to a screen where it’ll ask you to choose a theme. Don’t spend too much time selecting a theme, as this isn’t the full spread. Besides, you can always change your theme later. Once you pick a theme, it’ll take you to another screen. 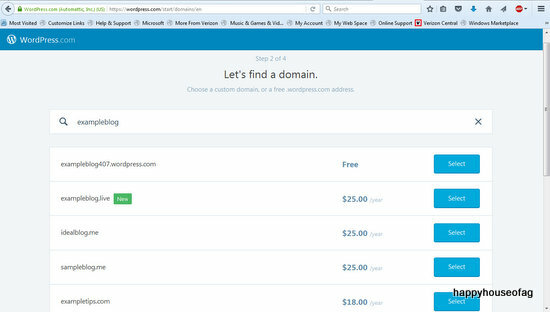 This one will ask you to choose a domain — what you type in the search bar when you’re going to a website. 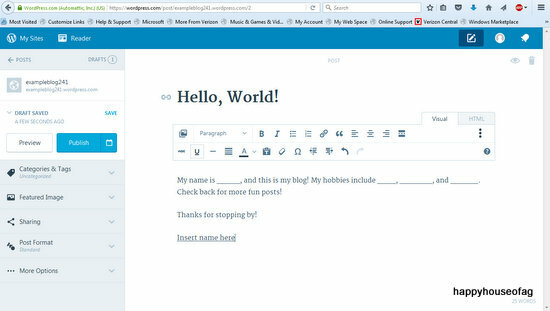 Type in your blog’s name, scroll through the options that are brought up, and choose a free one. Somewhere along the way, you’ll need to create an account. It’s pretty straightforward, so I didn’t bother to take a screen capture. Then, after a bit of loading, your blog will appear! 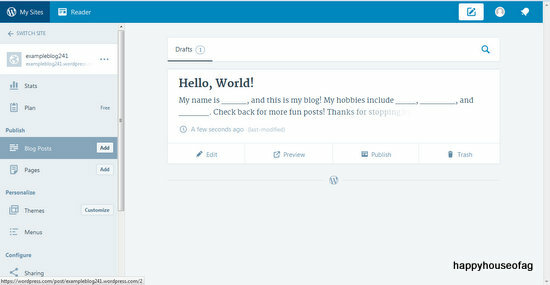 To write your first post, click the little button of a pencil located on the top right of the screen. My name is ______, and this is my blog! My hobbies include ______, ______, and ______. Check back for more fun posts! You’re welcome to use the text above as a base for your first post. You can tweak it all you’d like. Over on the left side of the screen is a white menu. 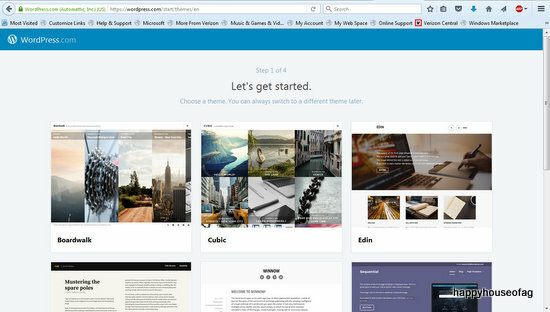 This is where you can add things like categories, tags, featured images, and more. When you’ve finished your first post (make sure to proofread it for typos! ), publish it by pressing the blue button helpfully labeled “Publish.” Or you can save it, and post it at a later time. In order to view your drafts (what your post is before you publish it), click the “Drafts” button at the very top of the white menu. It will take you to this screen. You can access and edit all of your unpublished posts from this area. 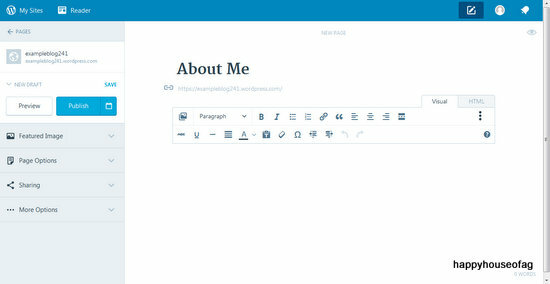 If you want to add a page to your blog, just click on the “Pages” button on the white menu. Creating a page is exactly the same as writing a post. Type whatever you want to say and publish or save it. Now that you’ve learned how to write a post, let’s move on to Step Two . 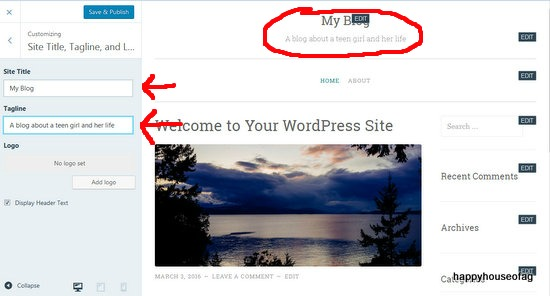 . . customizing your blog! Click the little “Customize” button on the white menu of your Dashboard. It will take you to the customization screen, where you can add widgets, change the background color, upload a header image, and more. 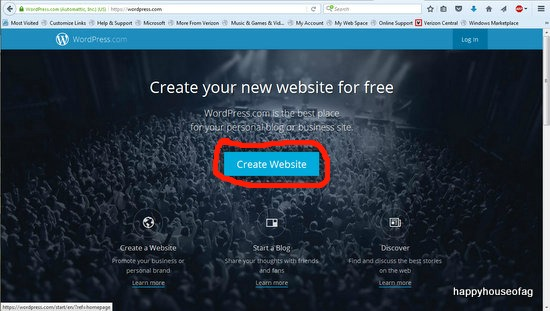 Let’s start with changing your blog’s name and giving it a tagline. 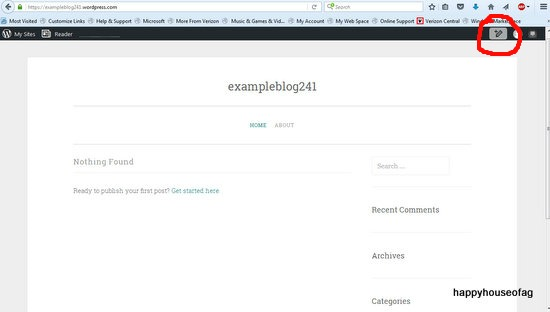 Currently, the name being displayed is whatever the URL is — in my case, exampleblog241. 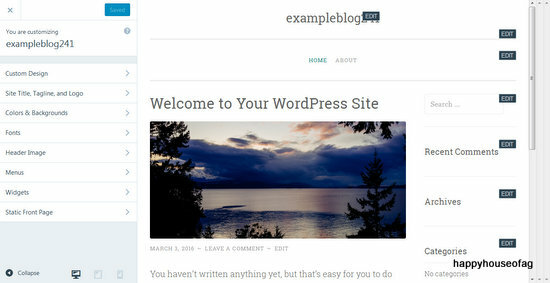 “exampleblog124” is a terrible name for a blog, and this is how you can change it! 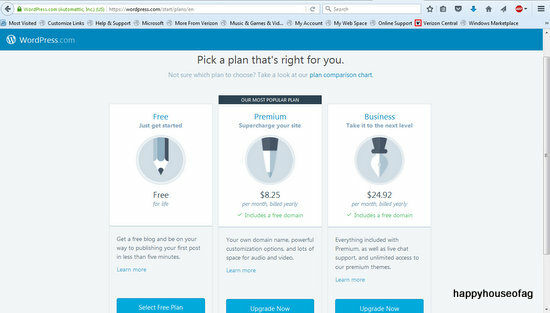 Click on the “Site Title, Tagline, and Logo” button, which is found in the left menu. 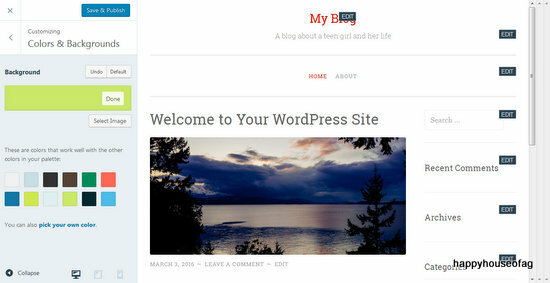 Type in your blog’s official name in the “Site Title” slot. 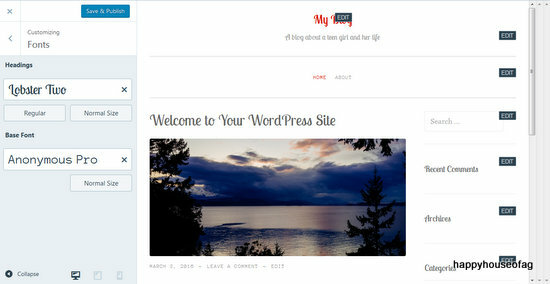 I choose to call my example blog simply My Blog. (You should try to come up with a much more original name than that. ;) ) Write the tagline in the second slot: a little more information about your blog. I wrote A blog about a teen girl and her life. 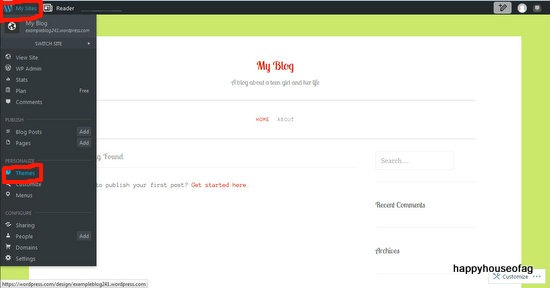 Next, give your blog a colorful background! You can either upload an image (a pattern is best) or choose a solid color. Select “Colors & Backgrounds” on the left menu. There are squares of colors displayed on this menu, which, according to WordPress, “will work well with the other colors on your palette.” Beneath these squares is the sentence You can also pick your own color. Click on the words “pick your own color” and follow the instructions. Want to change your blog’s font? Click on the “Fonts” option, which, like everything else so far, is on the left menu. Scroll through the fonts available for headings and the main font and choose the ones you like best. 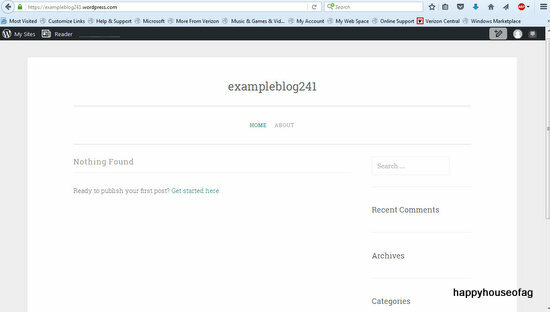 Once you’re happy with the way your blog looks, click the “Save & Publish” button on the top left of the screen. Go to your blog and see that your edits have come to life! 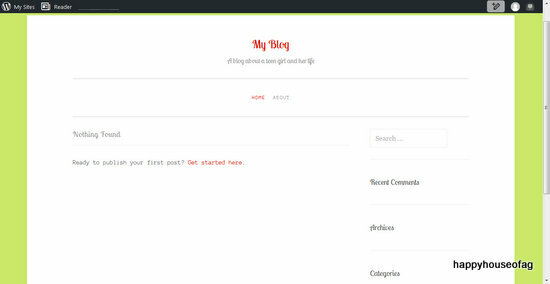 If you want to change your theme, scroll over the “My Sites” button on the top left of the black menu on your blog. Select the “Themes” button. They have TONS of themes available. Many of them are free, but some you have to pay for. Look through the themes until you find one you like. 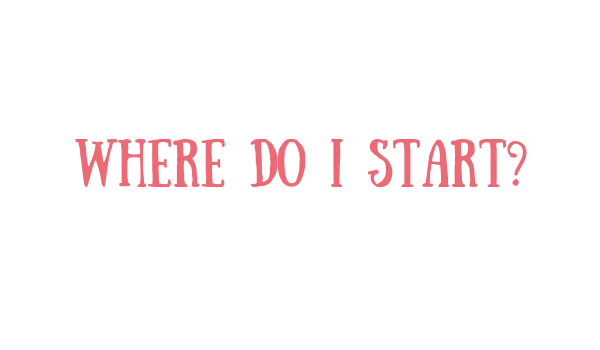 Have any questions about starting a blog? Leave them in the comments, and I’ll reply to them as best as I can. I have been a terrible blogger this month, I know. And I’m very sorry for the lack of posting! 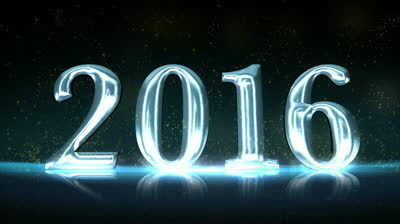 I have lots of ideas for posts, but I haven’t been able to find the time to blog lately. 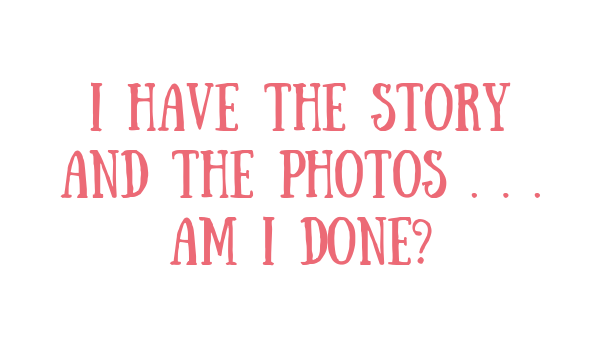 Anyway, this post is about a long-time blogging goal of mine that was finally completed. Ever since my blog started to get popular, it was my wish to inspire someone to start their own blog. I can now say that I have completed this goal! Lily from Uniquely Myself helped me complete that goal. She commented on my blog this morning, telling me that she had been inspired by my blog to start her own. I’m not going to lie — I almost died when I read that! 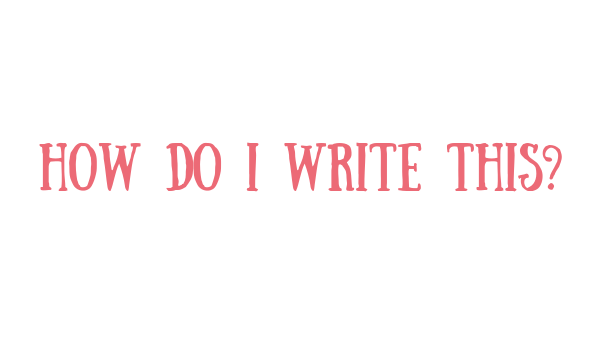 She’s a new blogger, but her posts are quite good, so please check out her blog! Again, please check out Lily’s blog by clicking this link: Uniquely Myself. I’ve been asked numerous times by bloggers, new and old, how they can improve their blog and draw in more readers. I decided to share some of the tricks I’ve learned in my (almost) two years of blogging. 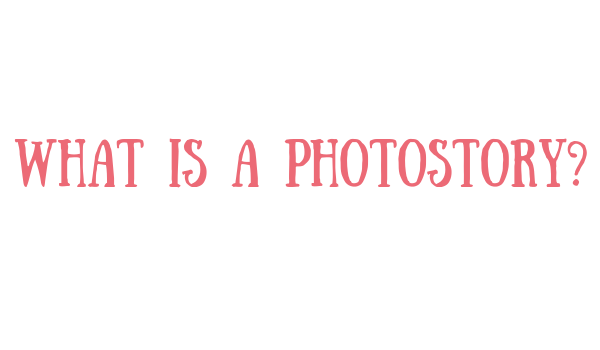 Photos are an important part of your blog — perhaps even the most important part. I don’t know about you, but a blog that has bad quality photos or hardly any photos at all isn’t going to attract my attention. I want to see your dolls, see the craft that I’m going to be making. If you’re serious about blogging, get a nice camera. iPad/iPhone photography just isn’t that impressive (But if that’s all you have to take photos with, go ask Madison or Jaclynn for some tips on iPhone photography — they’re both fairly amazing with it). Don’t expect to pick up a camera and instantly get terrific photos. Photography is a skill that can only be improved by practice. So take pictures often, and experiment with lighting and settings. Above is one of the first photos I ever posted on my blog. It’s blurry, the lighting is bad, and it’s not focused on the dolls as much as it could be. This is one of the photos I posted on my blog recently. It’s sharp, and the lighting is even. But it’s taken me a long time to progress from photo #1 to photo #2. If you’re going to take photos inside, try to make sure you take them near a window. Somewhere where there is natural light. Also, I’ve found that it’s best to take photos without flash. Although, if it’s dark or you can’t manage to get a sharp image, it’s OK to use flash. Or you could just try again at a different time of day. Try to avoid taking pictures of you doll in harsh sunlight. If you do, it’ll end up looking something like this picture of Isabelle. I cannot tell you how much bad grammar annoys me. Bad grammar will drive me as far as to unfollow the culprit’s blog. 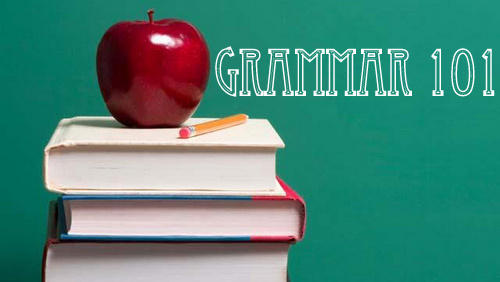 I made a post about grammar awhile back, and I highly recommend that you check it out HERE. Quality over quantity is something you should remember when you don’t know what to post. Brainstorm ideas instead of typing up a quick “I don’t know what to post — please comment with suggestions!” post. Do a review. Surely there is something in your collection that you haven’t reviewed already. Do a game. Caption That Picture, Name That Doll, Who Wore it Best — readers love games. Create an award. New bloggers love getting awards and answering the questions. Link to several recent posts you enjoyed reading, like Picks of the Week on Doll Diaries. 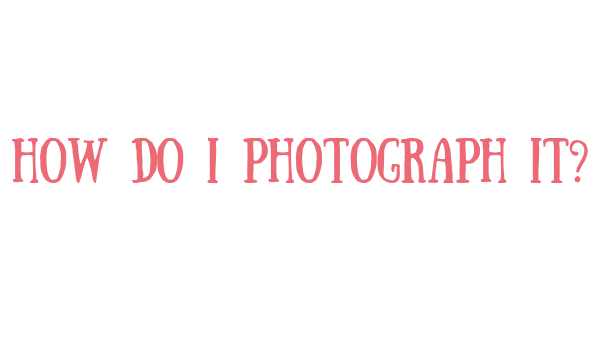 Do a photography challenge. We doll bloggers love showing off our photography skills. There doesn’t even have to be prizes. Take inspiration from your own life. Going to the park? Bring a doll and take some pictures. We’ve all read them, and probably written some of our own: the post where you say sorry again and again and give us a bunch of reasons as to why you haven’t been posting. I didn’t know what to post, I was busy with school, I was out of town, etc. Wouldn’t you rather look at some new (or even old!) pictures instead of reading that apology? I know I would. Instead of dedicating a whole post to your drawn out, heartfelt apology, just include a quick “sorry I haven’t been posting” at the beginning of post. There are times, of course, when an apology to your readers is necessary. If you’ve been gone for a month without an explanation, an apology may be in order. How do I get people to notice my blog? Honestly, it just takes time. It took me months and months to really get noticed. I know you don’t want to wait as long as I did, so I put together a list of a few tried and true ways to speed up the process. Comment on other blogs. Leave a link to your blog after your signature, or ask nicely for the blogger to take a look at your blog. But make sure you say something nice about their post before making a request. It can be a bit annoying for someone to comment on a post you worked hard on with a simple, “Can you please check out my blog, leave a comment, and follow?” So make sure you ask them politely. Send in pictures for the Sunday Showcase (on Doll Diaries) or From a Friend Friday (on American Girl Fan). They let you link to your blog, and I often discover new blogs through things like the Sunday Showcase. Make friends with other bloggers. This may be one of the most effective ways to get people to notice your blog. Find bloggers with common interests and talk to them in the comments. Friends (even online ones) are willing to do favors for each other, like giving you a shout-out, doing a guest post, or a collab. At the moment, the only social media site I have an account on is Pinterest (my account), but you can really reach new readers by using social media. Since I started my Pinterest account awhile back, I’ve already gotten more then 350 refers from it! If you already have a Pinterest account, I suggest that you make a board for your blog. Pin images from your posts with relevant hashtags. Like, if you’re pinning photos of your American Girl dolls, include hashtags like #dolls, #AmericanGirl, #AG — stuff like that. That’s all I have for now! 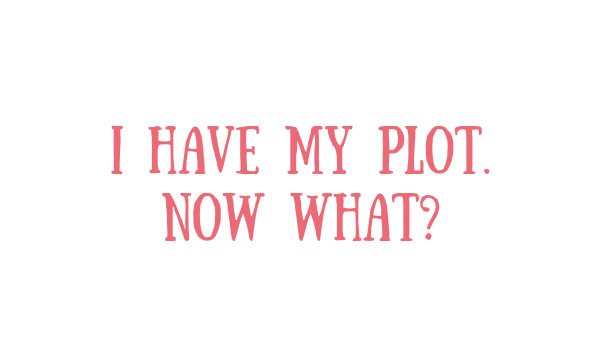 I hope that my experience with blogging will help you grow your own blog. 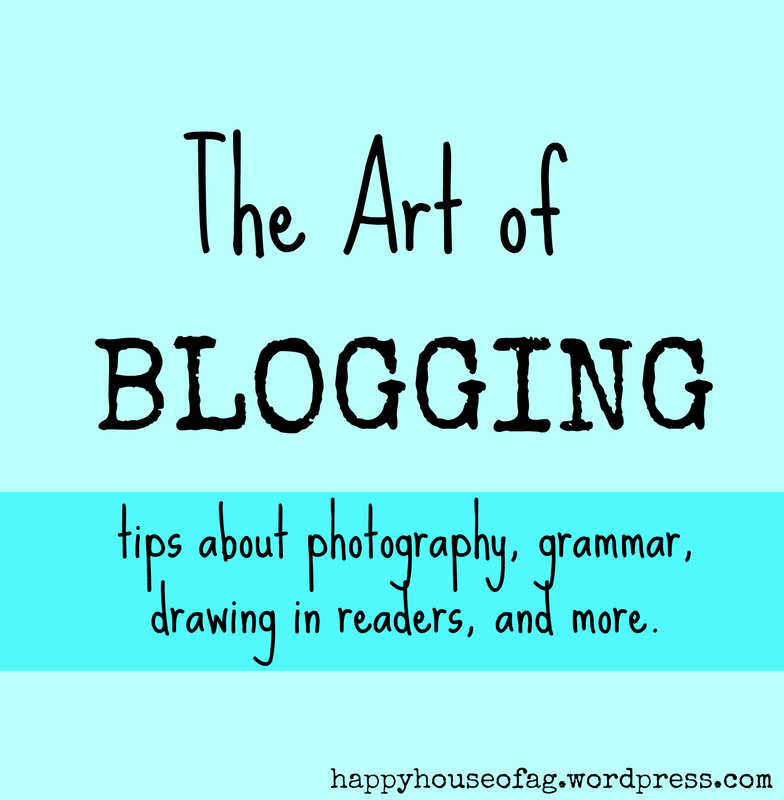 Do you have any blogging tips that you’d like to share? This is a bit late, yes, but I was so busy posting pictures of my new Lea Clark doll that I didn’t have time to fit anything else into my blogging schedule. But . . . 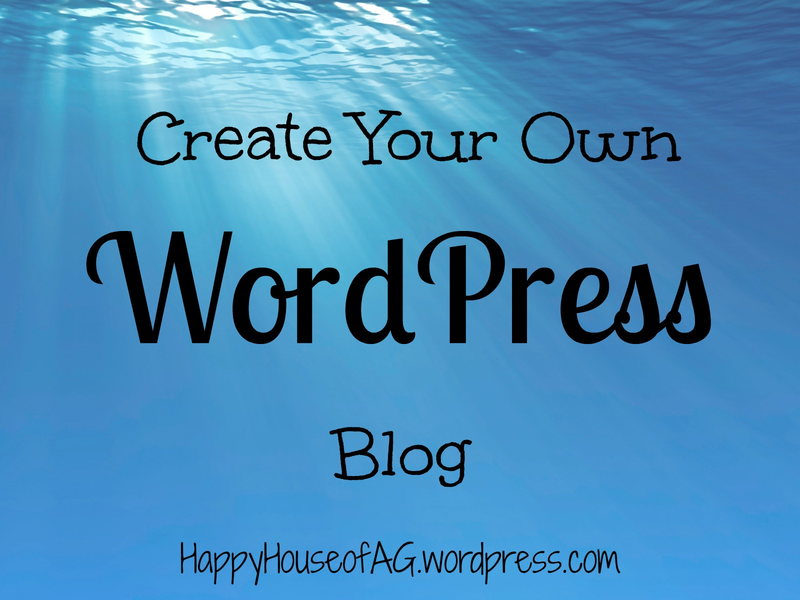 I wanted to share some blog stats to celebrate how much Happy House of AG grew in 2015! I got views from the US, Canada, Australia, UK, Italy, Germany, Cost Rica, France, Brazil, India, Hungary, Ireland, and many, many more countries. Leaked — GOTY 2016 Lea Clark Outfits. It got 1,822 views.